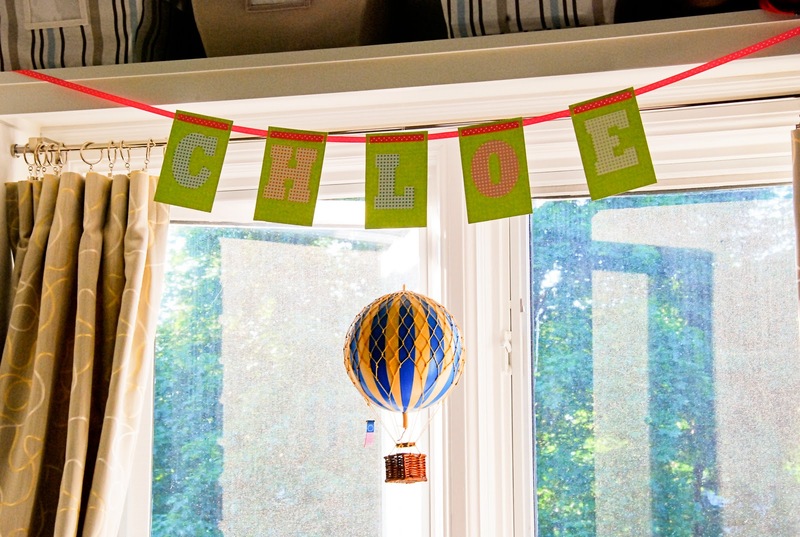 The paper bunting from Chloe's birthday party has found a new home. Chloe loves looking up at the banners when she's lying on the change table... which is good because the girl is a major squirmer these days so I need distractions galore! HandyMan: "When we're done with the banner, we can donate it to charity"
HandyMan: "It'll be Good Will Bunting"
It looks super cute! 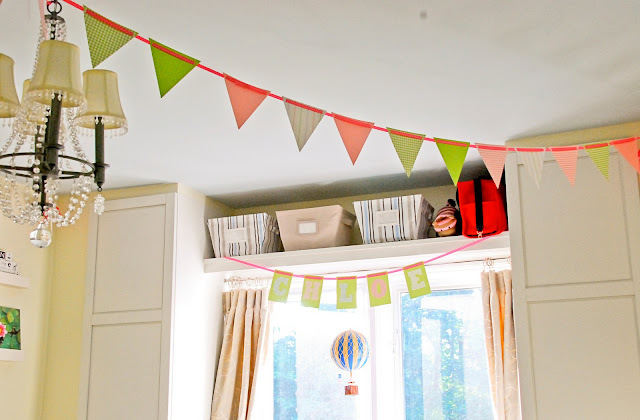 I am hoping to make a similar one for my son's first birthday party! That's a great idea, I bet Chloe loves it! Looks adorable! I love that hot air balloon! That is awesome. 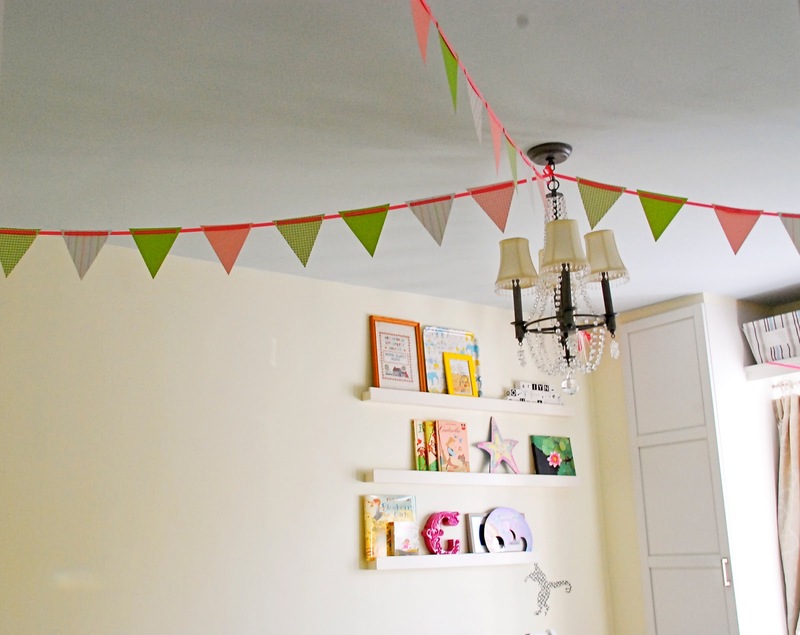 They need to make mobiles for over the changing table, more so than over the crib. Changing a squirming baby... not so fun! it looks great!! 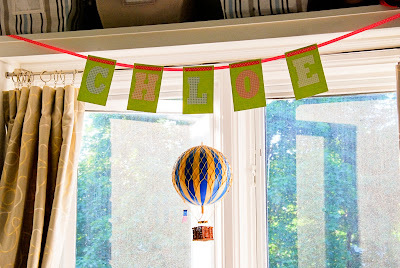 PS) Very cute banner bunting too! I love this look!! Your daughters room is so pretty!